The world of FINAL FANTASY XV continues to expand with the release of Episode Prompto, the new downloadable content (DLC) where players can experience a brand-new storyline from the perspective of the fan-favorite character. Players will get a glimpse into the human side of the cheerful photographer, as Prompto Argentum and Aranea Highwind embark across a snowy wilderness with an array of new weapons to battle Imperial forces. SQUARE ENIX also released a free update today that gives players the ability to upgrade the Regalia to the new Type-D model at Hammerhead. This new update gives the player greater freedom to drive the Regalia off-road through various environments. 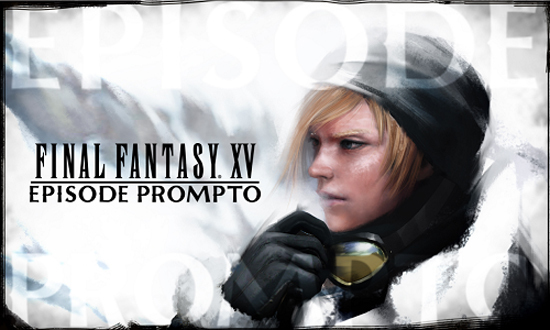 Finally, the update also includes new Episode Prompto themed tracks in the Regalia, various fixes and more. FINAL FANTASY XV’s Episode Prompto is available now as a standalone package for $4.99 through the PlayStation Store and Xbox Games store or as part of the Season Pass. Prompto fell from a speeding train and became separated from Noctis and his comrades during a point in their journey. Days later, Prompto is caught wandering alone in the snowy wilderness by imperial forces and imprisoned in a facility where he will discover previously unknown, shocking truths about himself. Along the way, he encounters Aranea Highwind, as the two fight alongside one another to escape the imperial army. With a captivating cast of characters, breathtaking visuals, open world exploration and thrilling action-packed real time combat, FINAL FANTASY XV is the ultimate FINAL FANTASY experience for both newcomers to the series and series fans alike. FINAL FANTASY XV is available now worldwide. This game is rated T (Teen).